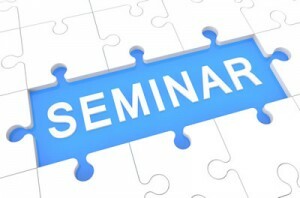 Irish Electronic Cigarette Industry Seminar, Dublin, June 17th. Do you operate an independent electronic cigarette retail business in Ireland? To promote and protect the business interests of vendors of vaping products in Ireland. To represent the views of Irish vendors on matters relating to this industry. To act as as advisory service with respect to legislation, industry changes, emerging scientific data, etc..
To advocate for fair and appropriate legislation for the electronic cigarette industry which will keep businesses operating in it profitable. we need to remain informed and fore-armed. – Investigating the legal challenge at the European Court of Justice – what happens if it wins? If it loses? The cost is €60 per person for the day, which will include lunch, refreshments, and an information pack for attendees to take home on the day. The draft agenda of the day (subject to change) and a registration form can be downloaded below and if you require any more information, please don’t hesitate to contact me by email at admin@ivva.ie or by phoning (089) 4600690. We know this event will prove a valuable resource for everyone working in our industry here in Ireland, and we look forward to seeing you there.